Jim Cramer brought out a great point last week during his TV Program, Mad Money, when he attributed much of the market volatility to “hedge funds gone wild”. He knows an awful lot about hedge funds since he managed one himself in the 1990s. A private, aggressively managed portfolio of investments, having a largely unregulated pool of capital, whose managers can buy and sell any assets, make speculative trades on rising as well as falling assets, and participate substantially in profits from money invested. It is open only to very wealthy, qualified investors. These investors are required to keep their (illiquid) money in the fund for at least one year. Since they are not open to the public, hedge funds do not have to make the same public disclosures as do mutual funds or brokerage firms. Historically, the term “hedging” implies reducing risk. This was done predominently via short-selling (the selling of a security that the seller does not own). Short sellers make money if the price of the stock goes down. More recently, hedge funds use dozens of different strategies, so it isn’t accurate to to say that hedge funds just “hedge risk”. In fact, because hedge fund managers make speculative investments, these funds can carry more risk than the overall market. In my book, DVDs, and CDs I often allude to the hedge funds as one of the “big boys”, a group that also includes banks, mutual funds, and insurance companies. These groups collectively are responsible for more than 80% of the trading done in the market each day and therefore are the market movers. As Blue Collar Investors, it is our responsibilty to predict what these folks are up to and we do so via technical analysis and checking lists like “Stocks on the Move” on the IBD Homepage. Volume Surges or Spikes (see pages 78-79 in my book, Cashing in on Covered Calls) are the result of “big boy” activity. When hedge funds start short-selling, the glut of sales bring down share price. Label this simple supply and demand economics. This can now become contagious among other such funds and even average investors. Cramer’s point was related to the 370-point swing in the market on Thursday which he alluded to as “insanity”. This is a great word that can apply also to the market in general lately which has been challenging at best. In his view, hedge funds were betting on a market collapse as worries about Lehman and Washington Mutual peaked. What do you do when you think the market will tank? You sell short and that’s what these “big boys” did. Later in the day, it became apparent that this theory was failing to materialize. Frantically, these funds started to cover (buy back shares before they went too high) and the market turned around dramatically. Cramer named 2 companies that “fought back” against these hedge funds. JOYG announced that it was buying back 2/5 of its capitalization (# shares x share price), or 2 billion dollars worth of stock between now and 2011. Cramer said the company had enough of the short selling and could almost take itself completely private if its stock keeps falling. The other equity he mentioned was our old friend CSX, whose embattled CEO Michael Ward won a proxy (vote of confidence by shareholders) battle with hedge funds to keep his job. That day, CSX reported a great earnings report and was up more than 10% in price. Cramer’s point regarding hedge funds accentuates our Blue Collar position that it is critical to do technical analysis as well as fundamental analysis in our investment decisions. We must anticipate the moves of these gazillionnaires. They have the ability to take down great companies and there is no one looking over their shoulders to warn us. I took a look at The Stocks on the Move List on Friday’s IBD Homepage. I ran only those stocks that traded 50% above their normal daily trading volume (the “big boys” are taking positions). Suffice it to say that there weren’t many.The only one that made it through our system criteria was FISV. Then I evaluated the 4 equities ranked ahead of FISV. MFW was eliminated because it was not optionable and had low volume. LPS was removed from consideration because it became public in July and thus has a limited history. – Sell (1) CSH-JH @ $4.50 This is the Oct. 40 call. – 5-week ROO is 3.2% (4.50 – 3.23/ 4000)or 32% annualized. – Our downside protection is a whopping 7.5% (323/4323). Bottom Line: We have a great return, with great downside protection on a great performing stock in a great performing industry that the “big boys” may be taking a position on. I’m sorry to report that there is little positive news in this arena. Retail sales came in much weaker than anticipated, business inventories increased, and the U.S. trade gap widened significantly. The fact that credit card debt rose less than expected appears to be a positive but also may reflect decreasing consumer spending. I saved my last comment for an economic positive: Producer Price Index (PPI) fell significantly in August due to rapidly declining energy prices. For the week, The S&P 500 ROSE .9% to 1252 for a year-to-date return of -13.5%. Note: I will be lecturing on behalf of Norwegian Cruise Lines during the last 2 weeks of September so I will not be responding to all your emails. I’ll do my best to get to as many as possible. The market will be down big time tomorrow. Does this affect your decision to buy? You said markets that are jumping up big time or dropping down big time are not good for selling calls. You are absolutely correct that in a market rising exponentially or declining precipitously, it is NOT in our best interest to sell options (see page 4 of my book). Here I was referring to longer term general market conditions as opposed to a few days of trading volatility. One of the concepts that has become clear to me in my two decades of studying the market is that it is impossible to predict the short term direction of the market. There are too many factors to calculate and now with globalization the pieces of the puzzle are off the charts. Forget about market psycholgy when trying to feed that issue into a computer. How about greed and incompetence of the lending institutions and the government agencies paid to monitor them? I AM ANGRY……this is hurting average, everyday people. It does show the need for what I have been saying all along. We, as Blue Collar Investors, must become CEO of our own money . This can take the form of total management on your part (as I do) or monitoring a professional who is making recommendations to you. Be in a position to say: “Great job Joe, I love your selections”. Or, I am quite concerned about your recommendations because…….”. If I were a beginning investor as are most of my readers, I would stay on the sidelines until the market developed a quiter tone. BUT I WOULD DEFINITELY PAPER TRADE while things settle down. There is much to be learned especially in a market like this one. More experienced investors may be considering all I-T-M strikes on only equities in the top performing industries, invoking exit strategies along the way. Finally, many investors look at a day when the market drops dramatically (I am writing this prior to market opening, so who knows what will be by 4PM) as a buying opportunity. So, do we buy stocks that are declining dramatically, with poor fundamentals and technicals simply because of a dramatic price decline? Well , (as Ronald Reagan once said)” there you go again”…trying to predict the short term behavior of the market . Let’s look at Lehman and apply this theory of buying falling stocks simply because of the dramatic price decline. In Februay of 2007 LEH was trading @ $80. In August of 2007 we had a great buying opportunity @ $60; in March of 2008, a fabulous buying opportunity @ $40; in July of 2008 an unreal opportunity @ $20 and just last Thursday we could have gotten in @ $16. A great buying opportunity can only be identified well after it occured. 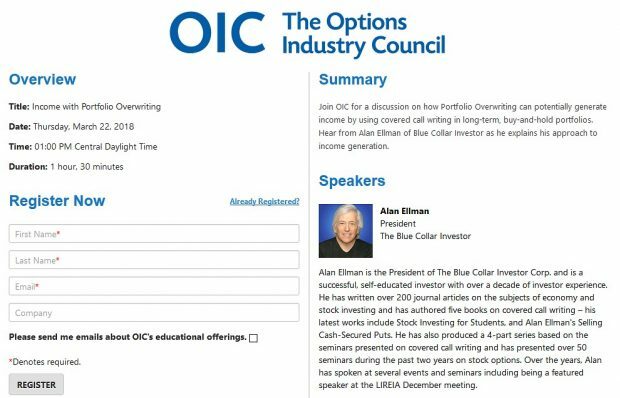 We, as Blue Collar Investors, can only throw the odds dramatically in our favor. That is why we must have a system. That is why we listen to everyone collectively but no one individually. How many of us could have made better decisions than these financial wizzards who are trying very hard to collapse our economy (but won’t succeed). Shame on them for their greed; shame on them for their incompetence; shame on the government agencies for falling asleep on the job. Ken, this is a great wake-up call for all of us and a reminder to me as well that we must be in control of our own finances. It is more important now more than ever before. Better days are ahead….history tells us….the American economy is so resiient! Thanks for a great article and response to Ken’s email. I have a couple related questions. First is there anything in the works to regulate these hedge funds, especially since they are such a huge influnce to the market ( I know this means a bigger government, but what are our options?) Second, you mentioned in your response to Ken “to stay on the sidelines” what kind of indicators should we look for to get back into the market. As Cramer says…”drinking cheat scotch on the linoleum floor”, I will be joining you in a workout this evening after a day like today. If I were just starting out in the stock market in this economic environment, I would look at the housing and financial sectors for my cue to get in. I am no economist but common sense tells me that housing will probably lead the way up since it led the way down initially. When homes are being built and sold, jobs are created,equity is enhanced, and business is created for the lending institutions and many other sectors. There is a completley different psychology amongst consumers that could lead to enhanced confidence and consumer spending. GDP will expand and everyone benfits. Of course, changes will need to be put in place to avoid a recurrence of the sub-prime debacle that caused this mess to begin with. I would like to see a COMPETENT regulatory agency put in place (akin the accounting oversight board created by Sarbanes-Oxley in 2002) to monitor lending practices by the financial institutions. They blew their chance to be depended on to make sensible decisions. Regulation of hedge funds is a bit tricky since it doesn’t deal directly with the public although it obviously has impact on average people. There is talk of re-instatement of the “uptick” rule to control short-selling. This may be the subject of a future article for my blog. I believe that there will be rules and regulations put in place to monitor hedge funds in the future but we may have to wait until post-election to see actual changes. I’m anxious to listen to the debates to see if either candidate is sharp enough to show the same concern you have by asking your questions. Enjoy your work-out….made me feel a lot better!